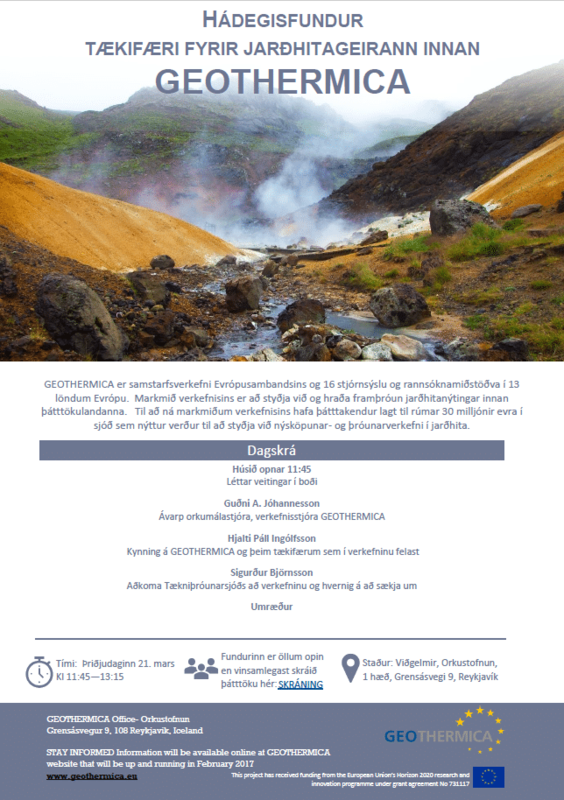 GEOTHERMICA Office with consortium invites for a meeting about the Joint Call for Geothermal Projects “Accelerating the deployment of geothermal energy in Europe”. GEOTHERMICA combines the financial resources and know-how of 16 geothermal energy research and innovation programme owners and managers from 13 countries and their regions. Together with financial support from the European Commission GEOTHERMICA will launch joint projects that demonstrate and validate novel concepts of geothermal energy deployment within the energy system, and that identify paths to commercial large-scale implementation.